Unbelievable footage was captured Monday afternoon in Halifax County, North Carolina of an Amtrak train colliding with a semi truck that was pulled out on the tracks. The video was captured on cell phone by eyewitness Leslie Cipriani as she was headed home from work. According to reports, the North Carolina Highway Patrol was escorting the 160 foot long semi-truck, which was carrying electrical wiring and supplies. But even with that the help, the truck couldn’t avoid a costly right turn onto 301. As far as the Amtrak train that was involved, officials say the train was on its way from Charlotte to New York and was scheduled to make stops in Henrik County on its way north. Early reports indicate that 40 people were injured in the accident, including 15 people that were transported to the local hospital via ambulance. 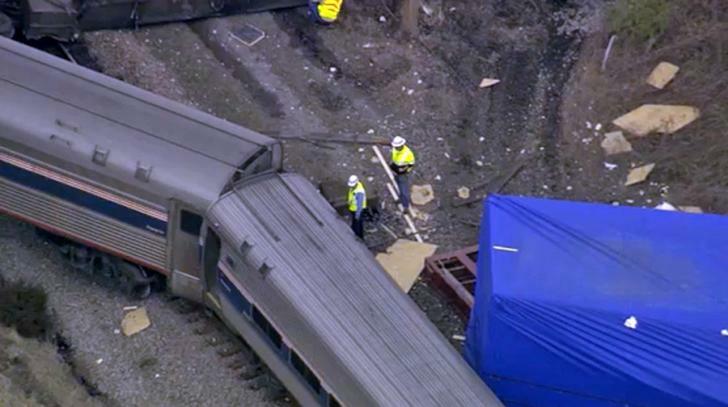 This entry was posted in Culture and tagged Amtrak, Amtrak train, collision, crash, Halifax County, north carolina, North Carolina Highway Patrol, semi truck, train. Bookmark the permalink.